Chinese astrology is founded on cycles of years, lunar months, and, and two-hour periods of the day (also known as shichen). According to Chinese astrology, the year, date, and time of day during which an individual was born greatly influences their personality and fortune. Twelve zodiac animals, also known as terrestrial branches, represent the sixty-year cycle of Chinese years: dog, horse, pig, ox, rat, dragon, tiger, rabbit, snake, sheep, monkey, and rooster. Depending on day of the year and hour of birth, these signs are combined with one of the five elements, or phases, to determine what is favorable to an individual and effective in terms of his or her feng shui (life force). The five elements in Chinese philosophy are wood, fire, metal, water, and earth. Even though the Chinese zodiac signs are not derived from constellations like Western or Indian zodiacs, and are not assigned to sections of the ecliptic, nevertheless some researchers say that there is obvious relationship between Chinese 12-year cycle and zodiac constellations; each year of the cycle corresponding to the certain disposal of Jupiter. According to Chinese astrology, a person’s entire future can be determined through complex calculations derived from Chinese philosophy, the Chinese calendar, and their relations with the stars, planets, and other heavenly bodies. These calculations are known as the Purple Star system. Given the date and hour of birth, the positions of certain stars are recorded in each of the prescribed sectors of the Chinese astrological chart. The chart as a whole maps an individual’s journey through life. 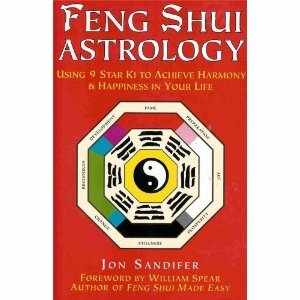 Each sector, or zone, in the Chinese astrological chart represents a major aspect one’s life. The main structure zone predicts one’s physical appearance, natural talents and abilities, and overall success or failure. The stars’ positions in other sectors foretell relationships, wealth, property and assets, health, career, opportunities for travel, and level of happiness that are predestined at birth. A person’s zodiac animal indicates the individual’s personality and character. Possibly the most important factor in Chinese astrology is the concept of yin-yang. Yin-yang describes the diametrically opposed forces that govern and create harmony and equilibrium in the universe. Yin and yang complement each other and are bound together, creating the whole. They are constantly changing places, transforming each other. Yin and yang are dynamic, yet always equal in relation to one another. Since yin-yang describes all natural phenomena, a person is part of one or the other polarity determined by the year of birth: even Chinese years are yang, odd years are yin. Yang is active, aggressive, focused, passionate, and masculine; associated with creativity, daylight and sun, spring and summer, and the element fire. Yin is passive, receptive, tranquil, negative, and feminine; associated with winter and fall, birth and fertility, night and moon, and the element water. While Chinese astrology is much more complex than Western astrology, Chinese astrology is based more on philosophy and science. Both contain mystical elements, but the ancient art of divination is far more developed and inveterate in Chinese astrology than in its Western counterpart. My Chinese sign is the Rabbit and this is a Rabbit year. Will I have good luck this year? Or will it at least be a good year for me? i was born under The Chinese sign of the Squid am I lucky? I have been born as a Chinese Squid, and wonder if it means anything luck,health, marriage, hope, glory, fun, joy, tears, habits, bad stuff, good stuff, luck, fate, fruit and veg, and if anyone can analyse my life for me then please do. Only real psychic chart readers and other insane horoscope do gooders need reply. Read details!!! !My zodiac sign is the tiger (its my year) If i am not from china does this still count? I went to a chinese restaurant for no reason with my family (rofl) and the table mat had the zodiac signs. I am the tiger, and this is my year i know. But if i am not from china, do all these good luck things still apply to me? why and how? What are the benefits of this being my year? It is up to you, If you want it to count then by all means have faith in it. But if you don’t then nothing will come in between you. Is it lucky to have family members who are all the same Animal? Me and my partner are both Tigers. Or is it bad to have the same animals in the same family? Well according to Chinese tradition, if you are in a year that matches your Chinese star sign, you will have bad luck that year. So if you are a tiger, you will be out of luck in 2010. To be more superstitious, they say that if you wear red stuff in the year of your star sign, you will get good luck. So Chinese who are in the year of their star sign normally wear red bracelet, underwear, socks etc. 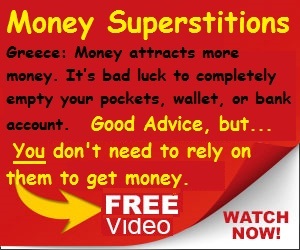 Of course this is just superstitious theory, and something the majority of the Chinese believe in. Two tigers should be alright though.